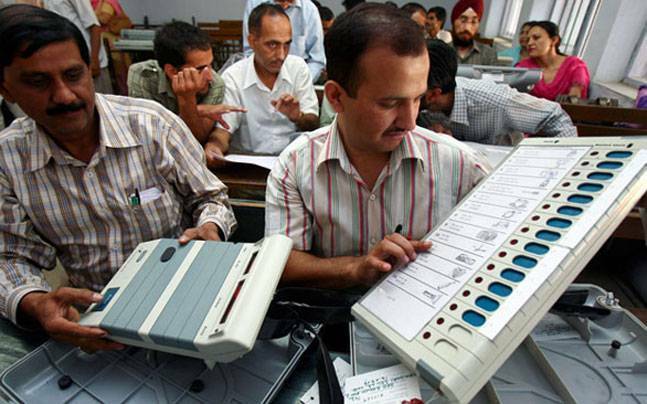 Londond, Jan 21 : In a sensational claim, a US-based self-claimed cyber expert Syed Shuja on Monday said the 2014 Lok Sabha elections were “rigged” and even claimed that BJP leader Gopinath Munde was “killed” as he knew about the “hacking” of Electronic Voting Machines (EVMs), a claim debunked by the Election Commission of India. Making the allegations without proof months before the Lok Sabha polls at an event here organised by Indian Journalists’ Association (Europe), Shuja claimed he can demonstrate how machines can be hacked. “It is not possible to hack a machine using Bluetooth. A graphite-based transmitter is required to get into an EVM. The transmitters were used in the 2014 Lok Sabha elections. Gopinath Munde was murdered as he knew about the hacking in EVMs,” he said in an interaction through tele-conferencing from the US. He further alleged that his team members met “a BJP leader in 2014 who knew about this” and “they were killed in an attack”. You cannot defeat RSS — BJP arrogance without throwing out ever-tamperable EVMs which are making a mockery of the largest Indian democracy of the entire world! Is sycophant Anna Hazare or anyone with a spine left ever going to launch a fast unto death Satyagraha against this unjust EVM ( every vote maligned & Modi-fied) and bring back our golden ever-reliable Paper Ballot democracy which even our unlearned farmers can understand! r u trying to say congress won last 2 election because of rigging ? Ambanis with RSS-BJP are biggest Desh Drohis of our Indian Hindustani democracy ! Fake news. Election commission has categorically deniedthis this rubbish. Fake news. Election commission has categorically denied this rubbish.